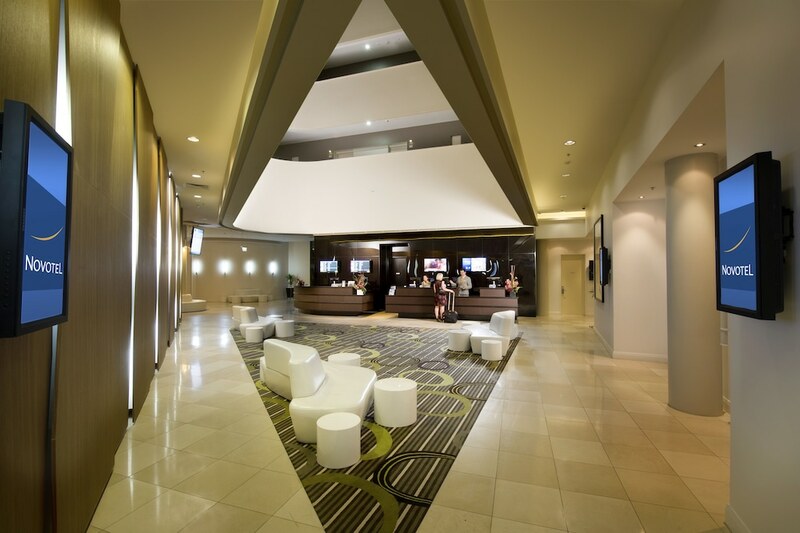 A luxury stay in Brisbane Airport awaits you at Novotel Brisbane Airport. 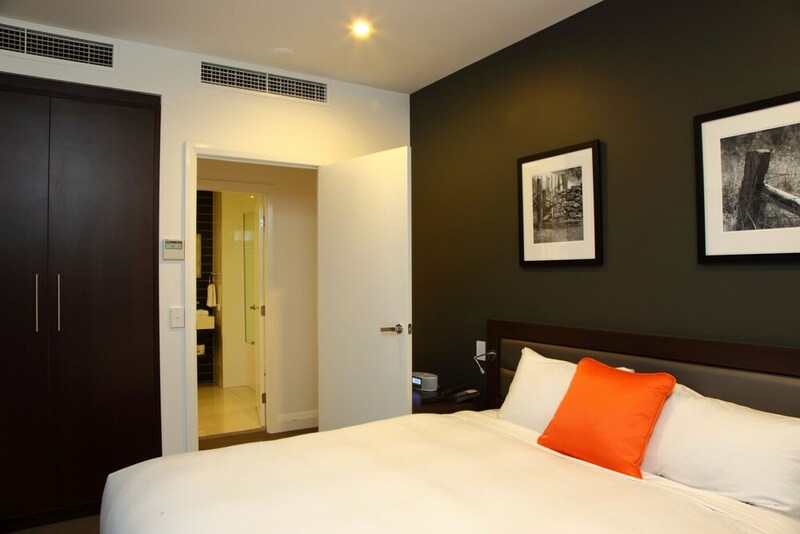 You'll be within a 10-minute walk of DFO Brisbane and 4.3 km (2.7 mi) from Doomben Racecourse. Highlights at this hotel include a restaurant, an outdoor swimming pool, and a free area shuttle. 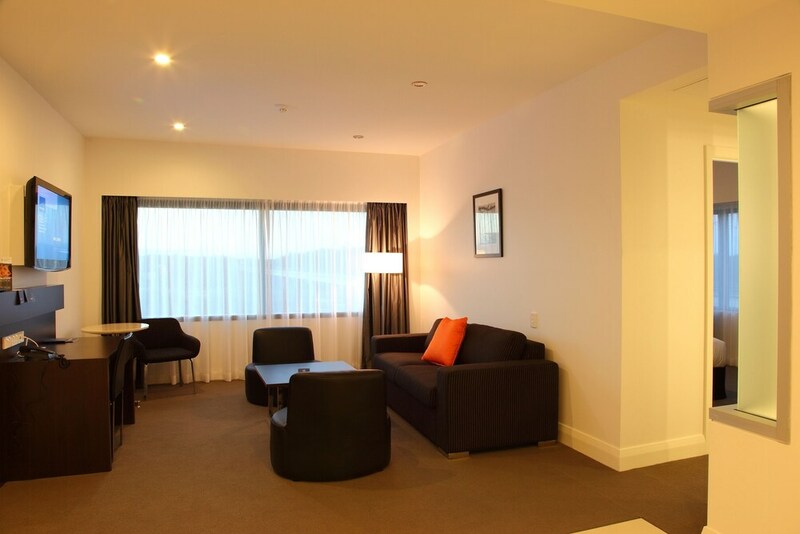 All 157 rooms feature LCD TVs with cable channels, and you can enjoy free WiFi, coffee/tea makers, and free newspapers. Minibars provide refreshments, and in-room dining is easy with amenities like fridges and round-the-clock room service. Premium bedding and pillow menus invite a comfortable night's sleep, and you'll find nice touches like free toiletries. In-room massages, safes, and hairdryers are also available. 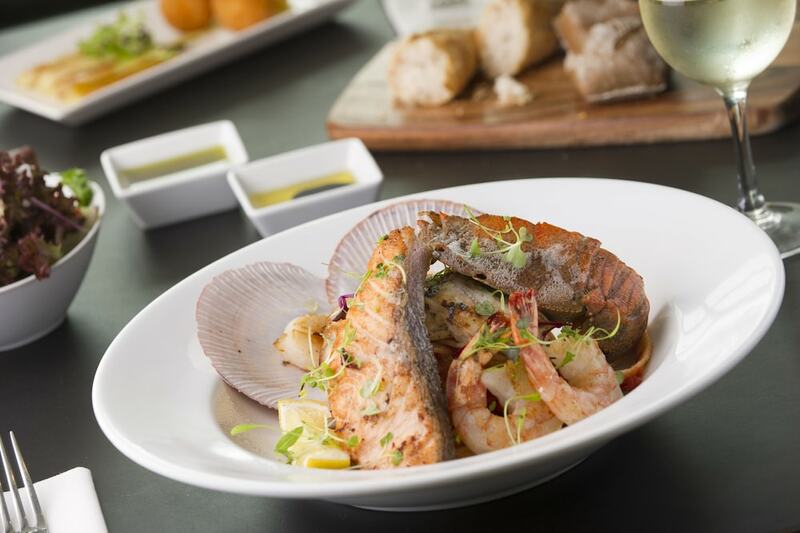 The restaurant, Catalina Restaurant, is open for breakfast, lunch, and dinner. At the hotel's own bar/lounge, you can stop for a drink. Enjoy the 24-hour fitness centre and sauna. 1292 square feet (120 square metres) of event facilities include conference centres, and other business amenities include a business centre. Added amenities include WiFi in public areas, a 24-hour front desk, and a computer station. 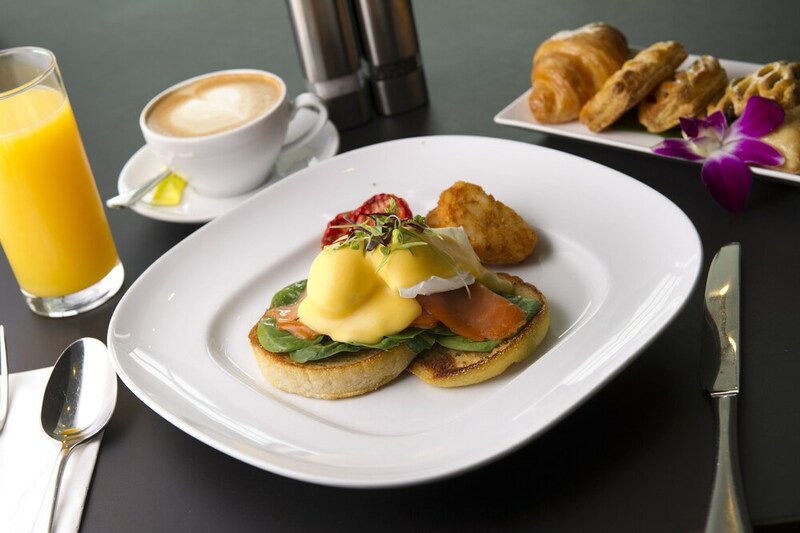 Each morning buffet breakfast is served between 5:30 AM and 10 AM. There's also self parking, along with the convenience of an airport shuttle. 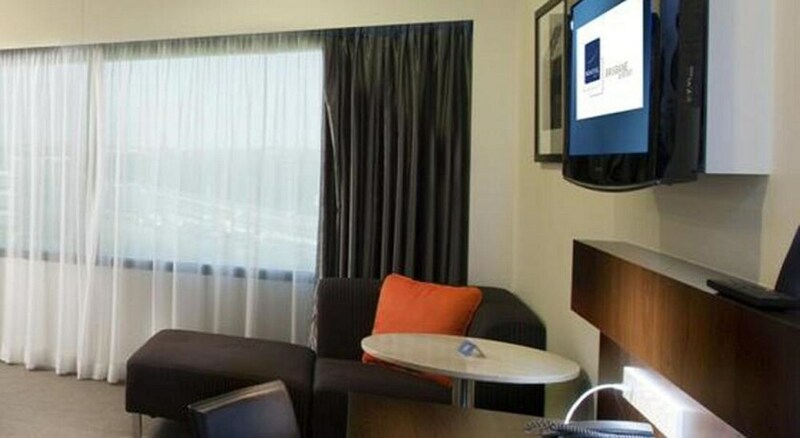 Attractions within a 10-minute drive of this 4.5-star Brisbane Airport hotel include Portside Wharf and Brisbane Cruise Terminal. Great Hotel! Good location for shopping and close to airport. Excellent check in service and terminal transfers. It is really disappointing to pay so much for a the room and meals and then have to turn around and pay for parking in the motel car park ( under the motel - $25.00 overnight). You don’t have a choice - there is no other parking. I tried to find out prior to going to the property the cost of parking but there is nothing available on the website. I heard other guests complaining about this as well. Quite the hidden cost. 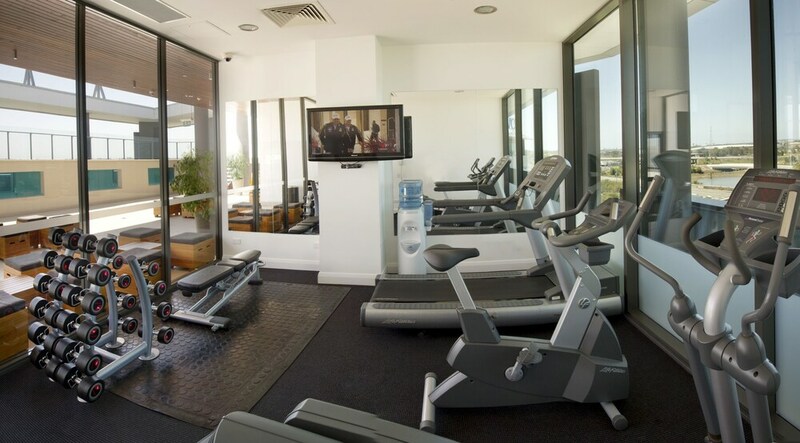 Novotel Brisbane Airport offers its guests an outdoor pool, a sauna, and a 24-hour fitness centre. There's a restaurant on site. You can enjoy a drink at the bar/lounge. A computer station is on site and WiFi is available in public spaces for a fee. 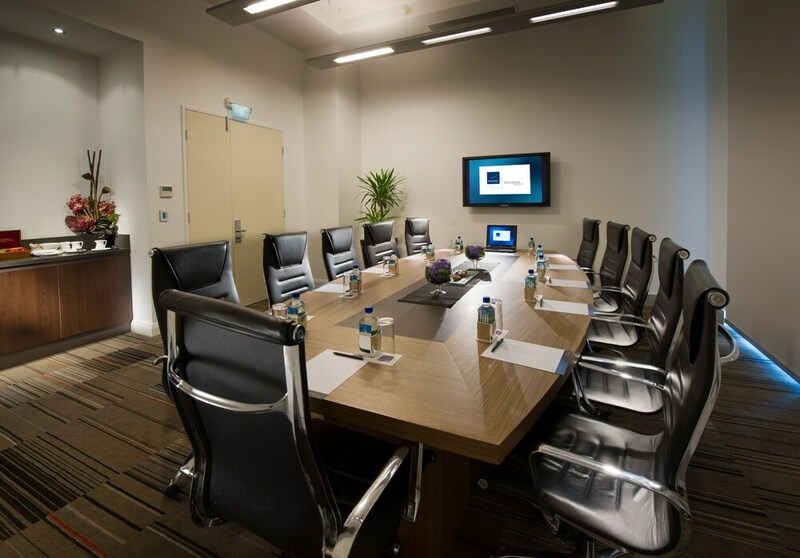 Business amenities include a business centre and a meeting room. Event space at this hotel measures 1292 square feet (120 square metres) and includes conference centres. 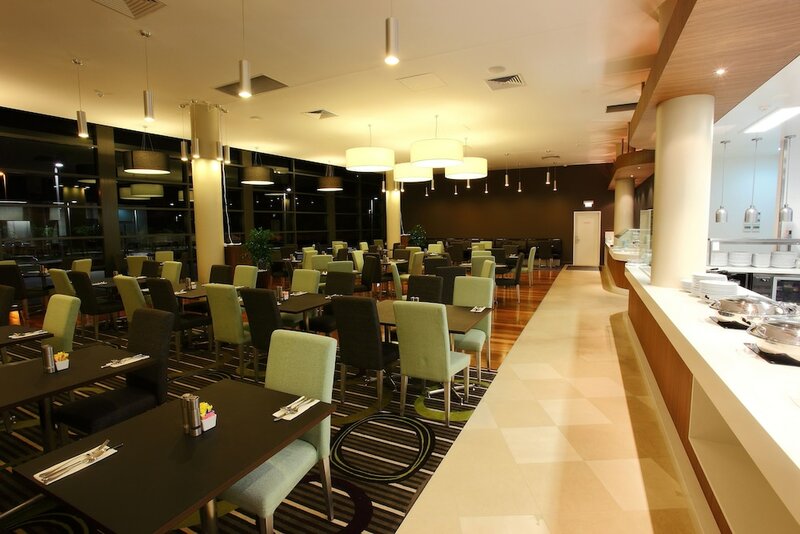 The luxury Novotel Brisbane Airport also features dry cleaning/laundry services, 24-hour room service, and express check-in. A round-trip airport shuttle (available during limited hours) is available for a fee. For a fee, parking is available. 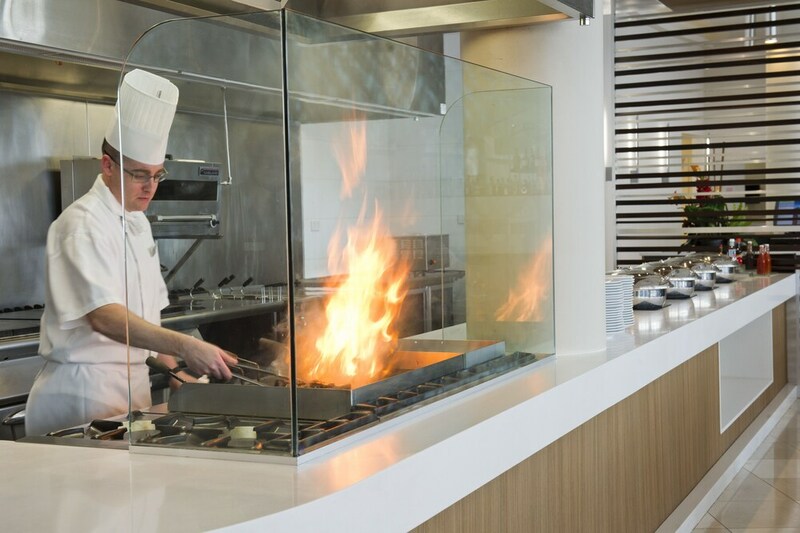 This 4.5-star Brisbane Airport hotel is smoke free. 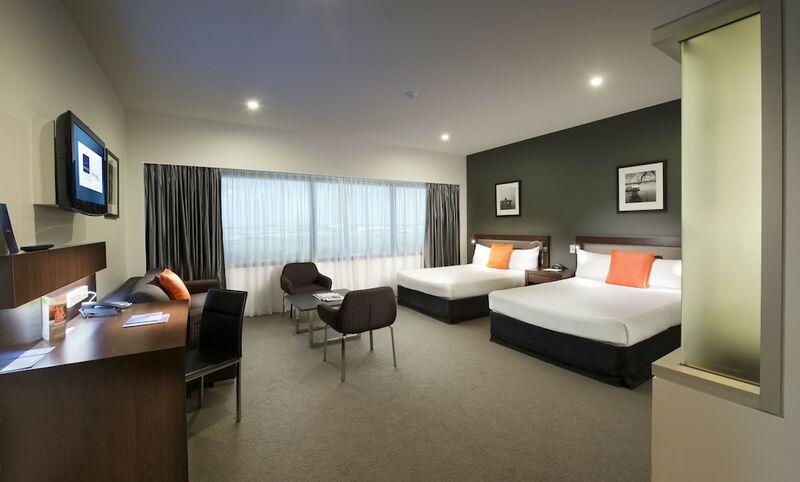 Novotel Brisbane Airport offers 157 forms of air-conditioned accommodation with minibars and a safe. Beds feature premium bedding. A pillow menu is available. 32-inch LCD televisions come with premium cable channels and pay-per-view films. Guests can make use of the in-room fridges and coffee/tea makers. Bathrooms include a bath and shower, complimentary toiletries and a hairdryer. Guests can surf the web using complimentary wireless Internet access. Business-friendly amenities include desks, complimentary newspapers and telephones. Additionally, rooms include an iron/ironing board and blackout curtains. Housekeeping is offered on a daily basis and in-room massages can be requested. 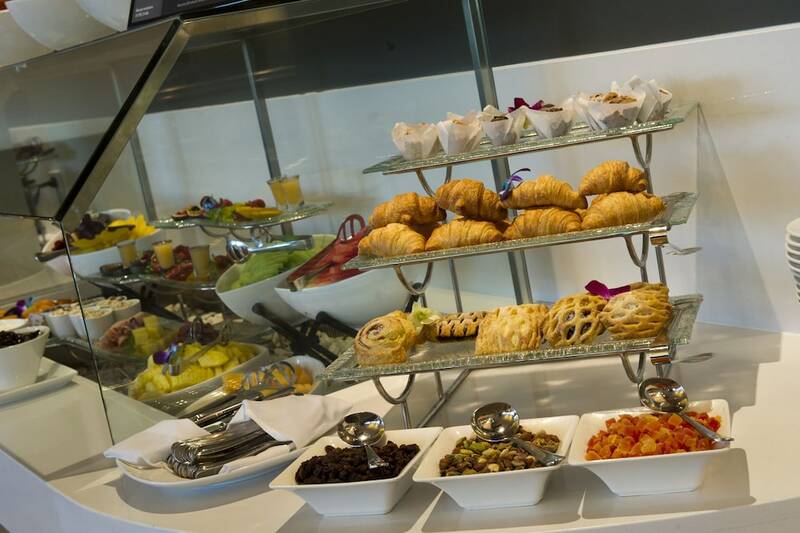 For a fee, guests can enjoy a buffet breakfast daily from 5:30 AM to 10 AM. 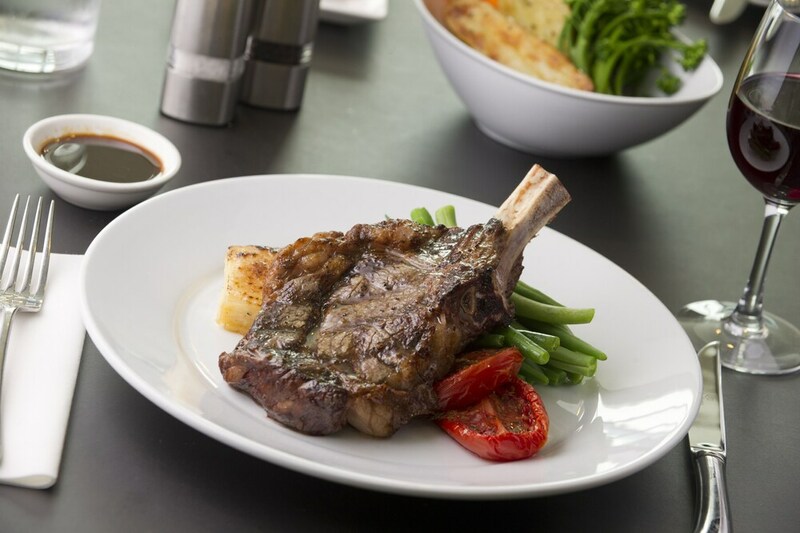 Catalina Restaurant – This restaurant serves breakfast, lunch and dinner. Guests can enjoy drinks at the bar. A children's menu is available. Recreational amenities at the hotel include an outdoor pool, a sauna and a 24-hour fitness centre. Airport transport is offered during limited hours. Fees may apply. Please make arrangements in advance by contacting the property. Rollaway/extra beds are available for AUD 60 per stay. 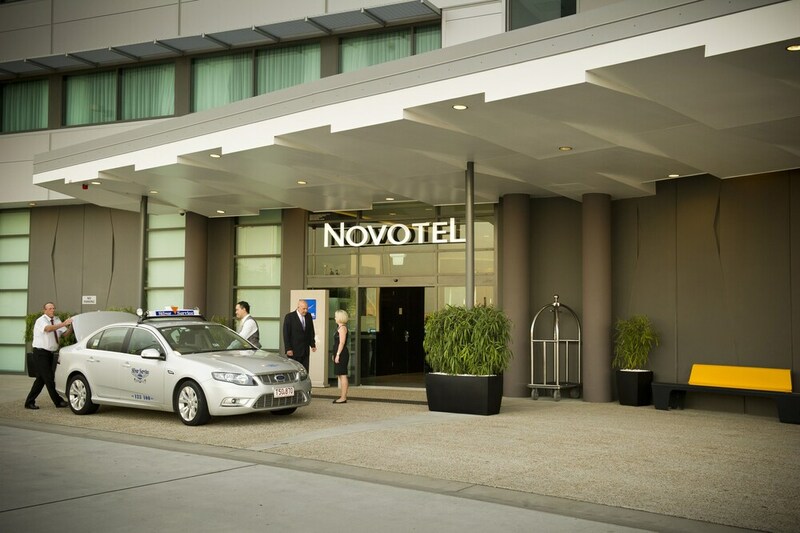 Novotel Brisbane Airport offers transfers from the airport (fees may apply). Please contact the property at the number on the booking confirmation with your arrival details prior to travel.